Clean, pure water is essential to your homestead abundance. Even fresh Spring water, like we have at Joybilee Farm can be contaminated with industrial pollution, chemicals, and heavy metals from local mine operations, climate engineering activities, and wildlife, things you have no control over. We’ve been using a Royal Berkey water filter at Joybilee Farm for about a year now. I highly recommend the Berkey Water Filter over other water filter systems that we’ve tried. The Berkey Water Filter was easy to set up. It took about an hour the first first time to flush and prime the filters and set it up on the counter. The Royal Berkey, the size that I use, takes up less than a square foot of counter space and holds about 3 gallons (12 litres) of water. We fill ours before we go to bed at night and have enough water for most of our cooking and drinking. On days that I make Kombucha, I fill it again before dinner time. Our water comes raw off of a spring above us on the mountain. There are mining activities above us and the possibility of heavy metal contamination. Further, our water tepidity changes depending on the season and the weather, changing the appearance and the taste of our water. When water enters our house, it is filtered through a particle filter which takes out fine sediment. In our previous home, in the city, where water was treated with a toxic chlorine-ammonia disinfectant, we installed an under the sink, reverse osmosis water purification system. This system required a professional to install it — the system was $800 and then the professional installation added to that cost. It was a five filter system that removed viruses, bacteria, and chemicals. The filters required annual replacement that amounted to about $150 a year with the reverse osmosis filter being replaced every 4 to 6 years, at almost $300. It did the job it was meant to do. We had to leave it when we sold our home. Our filter system, out in the country is a dual carbon filter that takes large particles out of the water supply. The 2 filters need to be replaced every 6 months, at a cost of about $30 each time. But we usually only replace them once a year. It’s hard to find the filters locally, so it necessitates a trip to the city. The system has an additional faucet, to the right of my sink, where the water is delivered. This faucet leaks. And the water coming out is slow as it goes through the two filters. There is no holding tank. I never trusted this filter system. Somehow, water sitting for days in the plastic filter containers doesn’t seem clean, so I run the water for several minutes before filling my cup. The filters take out pharmaceuticals, chemicals, and heavy metals but leave in the essential minerals that your body needs. The filters remove viruses, cysts, protozoa, and bacteria. The Berkey is portable, so I can take it with me when I move, or if I go on a trip. 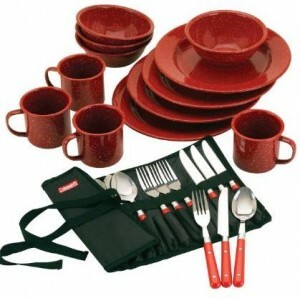 It sits on the counter not under the sink, so its easily accessible to all family members. It’s easy to fill with fresh water and any family member can do it. It’s stainless steel, which is non-reactive and won’t add endocrine disruptors to our water the way plastics can. My under the sink water filter systems had plastic housing. My Complete Royal Berkey costs about the same as 2 to 3 years of replacing filters on the reverse osmosis filter system or 5 years with the 2 filter system at Joybilee Farm. The Berkey filters are about $150 for the 4 filter system we have and won’t need replacing for 4 years — the stainless steel holding tank will last indefinitely — clean water for life. My Royal Berkey is expandable to double the filter capacity by adding 2 more Berkey Filters ($100). This would allow our system to filter faster and increase the number of people that could easily be served daily. It is part of my preparedness plans to add 2 more filters, should our system be required in an emergency. It feels good to have the confidence that my drinking water is clean, without lead, mercury, radon, bacteria, and viruses, no matter what’s going on up stream from us and regardless of the dangers in the world around us. Its a portable system that could be carried with you on a trip — although many people get a smaller Berkey, like the Go Berkey for camping trips and to keep with their Bug-Out supplies. When I move I can take the Berkey with me so its a once in a lifetime purchase. It drips on the floor when I’m filling the kettle. Its just awkward to fill a kettle from the spigot. It takes about an hour to filter the 3 gallons of water so you do have to wait if you let it run dry. You have to plan ahead for an increase in water usage — it’s not a demand filter. In fact, I loved my Royal Berkey so much, I bought a Big Berkey for my son’s family for Christmas last year. you a Go Berkey Filter prize bundle. We’re really excited about the Go Berkey because it means you can have Berkey filtered water on the go. This system is perfect for outdoor trips, your emergency kit, or your desk at the office. It’s the same quality and beautiful gleaming look you’re used to, but it’s small and portable! Being smaller than the original Berkey, it’s also ideal for those of you with really small kitchens that have limited counter space. Hey, I used to have one of those. I know what it’s like!! BerkeyCleanWater.com is giving away a Go Berkey system. You can learn all about the system here. This is the perfect on-the-go system for your camping, hiking, picnic and outdoor trips. You can put it right into your backpack and it’s going to filter any water, anywhere. camping/hiking trips! It even has pretty little mugs to serve up your Berkey-filtered water! 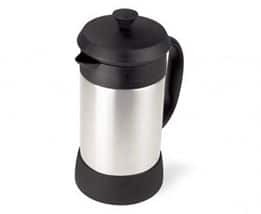 Timber Creek Farm and The Adventure Bite have teamed up to give away the Glacier Stainless JavaPress, an awesome stainless steel French press coffee maker for your trip. Simply fill with your favorite grounds and fresh clean water from your Berkey and you’re all set for some of the best coffee you’ve ever tasted. of. And what’s better? Mercer the Mug will scare off any little critters that come to your campsite, while bringing a big smile to your face. 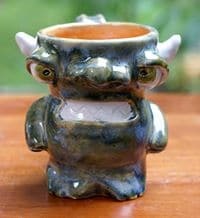 Let’s just say, you’ll have the most unique mug at camp. 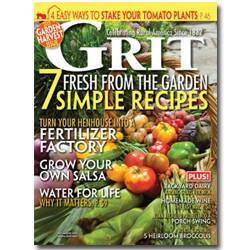 Lille Punkin’ is contributing to the prize bundle with a subscription to GRIT Magazine! So, now you have something to read while you’re huddled by the fire, drinking coffee! winner will be contacted via email and given 24 hours to respond. If no response is given, another winner will be chosen. Oooooohhhhhh……I’ve really been wanting one of these! I have been hauling water from out of town for 32 years and am SO tired of it! Our city water is horrible. I never let my kids drink it growing up and we still don’t drink it. I’ve been trying to find a way to purchase one of these, but the funds have just not been there. Thanks for the opportunity to try to win one! Great idea!!! Nice!! I need a water filter like this one. I know that Berkey is a great product. Thanks for the chance. I have a friend who has the large Berky and she is so proud of it!! The comfort and security it gives – knowing your family is safe from all that the pollution has done to the earth – is immeasurable! What a great review and giveaway! We have thought about a water filtration system but haven’t done anything yet. Sadly, since we don’t do facebook and other social media, I can’t enter the giveaway. Thanks for the review though! We’ve used our Berkey for over 13 years, ever since prepping for Y2K. Ours is really way too small for a family of eight, so we are hoping to add another one soon so we don’t have to be refilling it so often. We try to keep eight to 12 gallon jars full of filtered water as an emergency supply (we use old cider or vinegar jugs). We rotate the supply, using from the jugs and refilling them from the Berkey. In 13 years we’ve replaced the four filters twice. The second time was just last year so I imagine they will last another five years at least, and much more if we get a second Berkey. I’ve been wanting one of these for a very long time! Thanks for the opportunity. Wow, great review on the Berkey! It sure would be lovely to win one. I like how you broke down the cost and compared to your other water filtering costs. This was useful information! I LOVE your blog and so appreciate other believers who are sharing their knowledge! Thanks for all you do and I pray a little prayer that I could win this lovely give away!! Thanks! So cool. We were just thinking of investing in one. Thank you!! How come of for US residents only if you (joybileefarm) are in Canada??? Because I’m not the person who decides these things. The sponsor decides where they are willing to ship to. And many of the American sponsors don’t want the extra expense and legal hassle of shipping internationally. It’s not as easy to ship internationally if you are a business, as it is if you are just private individual. There are huge legal issues, especially if you are shipping a “free” item. Government red tape adds to the cost. I would love to have one of these to share with my son. He’s a Deputy Sheriff on the bomb team (every mother’s dream). They are starting their own “little farm” , and I think this would be a tremendous gift for them. I might even get a couple of brownie points also. I LOVE your posts on FB. Have wanted a Berkey for so long! Just has not been in the budget! But maybe I will get get lucky! A Berkey is the BEST!